We live in a world where the inventions in the field of technology are conquering greater heights consistently. The advancement in technology has not only helped us gain momentum in terms of business but also helped us flourish in other aspects of our lives. It has become almost impossible to imagine life without using the technological means. We use the digital platform for doing many things in our day to day lives which even includes grocery shopping and online payments of bills. 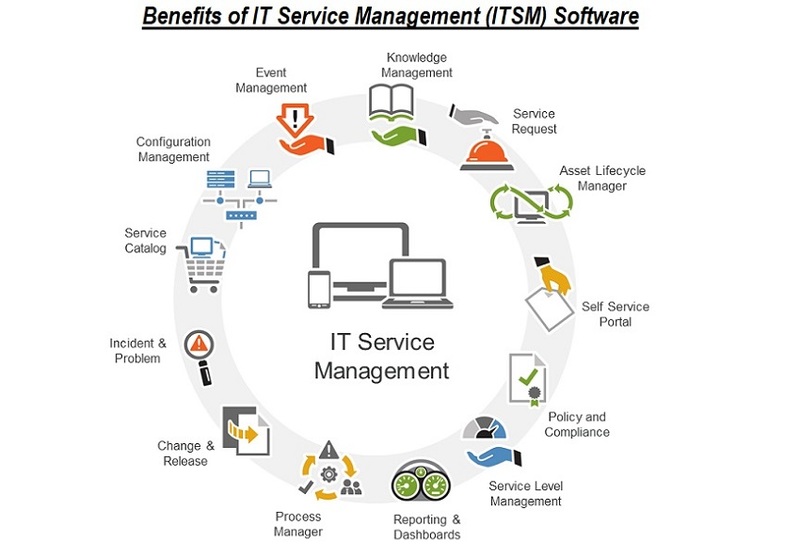 One major benefit of this progression is the ITSM software or the IT Service Management software which has revolutionized the face of the IT industry with its superficial modes of services. 1. Improvement in the company’s ROI - it may sound unusual that the software can help in boosting the ROI (return on investment) of a company but it is no false statement. The ITSM software tools not just help in integrating a company’s task management but also help in departmental benefits through its several sets of tools. The IT professionals manage to get their work done through the help of these tools and that in turn improves the total ROI of the concerned company. 2. Higher efficiency - even though the techies are best at what they do but they might still need some tools which would allow them to flourish in their niche of work. So the ITSM software tools come to their help and even manage automated work applications to bring about an efficient and productive outcome. 3. Low-cost maintenance - a major cause of IT professionals preferring the ITSM software is that it is a low-cost maintenance to that gradually increases the work efficiency. There may be other IT software in the market which shells out the same services but at a higher price, which is difficult for small time marketers to afford. So, when they get the same services at a minimal rate and that too without any discrepancies, they tend to choose it for their work purpose. 4. Visualize workflows - for maintaining an enterprise, the marketers need full-time management skills and a comprehensive idea of what is going on in the workplace. The actual visualization of the workflows is not at all easy to access physically by any administrator. So, the ITSM software helps them in visualizing the workflow process through its simplified analysis; this also saves the time of the marketers. 5. Integration and standardization - the theoretical workflow becomes easier to implement only when the functional tools are present to utilize those ideas. The ITSM software standardizes work processes in the IT industry by its integrated workflow management services. It also shells out benefits like streamline process which benefits a whole organization in bringing out efficiency in the world of information technology. We are taking giant leaps every day towards being the modernized form of species. The fast-paced form of technology has made our lives much easier and productive in many forms. The whole of IT industry has benefited a lot due to the growth in the technology sector and the ITSM software has proved to be a boon in conquering this success. It not only performs activities which supports the functional niche of the IT industry but also helps in executing a total of performance through its pre-organized software system. The IT industry is very vast and managing it properly is not an easy task. So the marketers get the best assistance while using the ITSM software for their enterprises.